I have to say, without a doubt, that is one of the best compilations from the Music Mosaic label. They have outdone themselves in compiling an enjoyable and spiritual album that is both unique and enjoyable in equal measures. To give this any less than top marks would do this CD an injustice. From smooth jazz to funky jungle, from the vast Australian outback to the smoldering cyber-clubs of Bombay. Trip-out with this groove journey into the modern world of the ancient didgeridoo - enhanced with drums, guitar, sax, throat singing, bass, synthesizer, sitar, native American flutes and other multicultural instruments. Ethno trance percussion and groovy drums, a moving dance with dumbeck, log drums, Balinese hand cymbals, didgeridoo, saxwahphone, keyboards and effects. 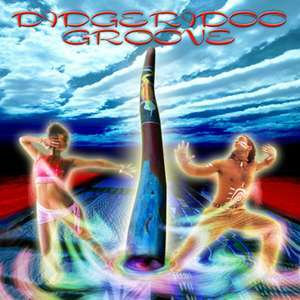 Multicultural dance grooves where an aboriginal didgeridoo meets an American Indian tribe with drumming, shaker, chants and flute. Uplifting track in a driving rhythm - listen to the didgeridoo as the Red Center awakens to another day. Chill trance world funk groove tribal nature mystery, percussion and sounds of the deep rain forest. Tribal meeting of 3 didgeridoos with 3 percussions, overseen by the master shaker. Rhythmic dance with tribal Eastern and classical influences. A didgeridoo and a saxophone talk to each other, soon dancing with a cello and percussion. A jazzy world music classic. Modern composition of drum and bass plus didgeridoo and organ, mixed with throat singing voices and other goodies from various cultures. A classical vocalist accompanied by Eastern grooves and tribal rhythms. Sensible dance of inner feelings. Kokopelli - the sacred flute player - sows the magical seeds of love and dancing, accompanied by a deep didgeridoo and native percussion.